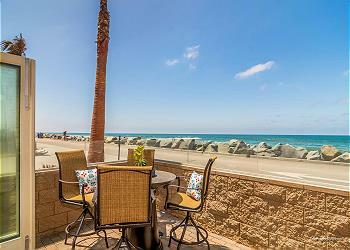 Beautiful, just remodeled, beachfront (part of duplex) located on the beach in Oceanside, CA. 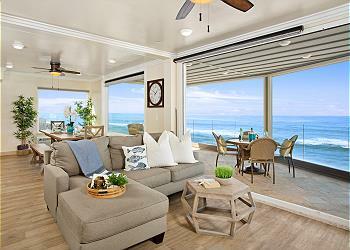 The upper unit has a living room, a wet-bar area, and a large private balcony overlooking ocean. 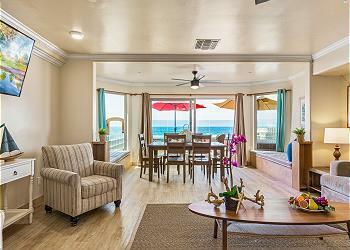 Beach level of a gorgeous oceanfront triplex with a very spacious, beachfront patio, a large kitchen and living room! 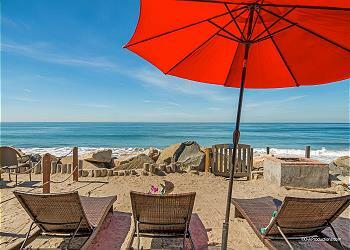 Come escape to luxury in this oceanfront vacation rental. 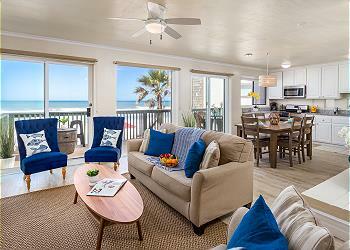 This condo is part of a four-unit complex on the beach. Slate flooring, granite and stainless kitchen, private spa, and more! Newly built. Stunning, single family home sitting directly on the water! If you have a large group, this home is for you! 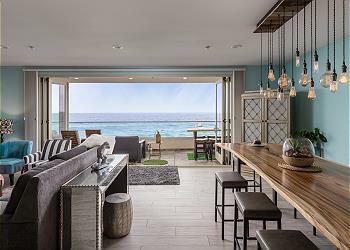 This four-story rental has two full kitchens with granite counters, an oceanfront patio, a BBQ, and an amazing rooftop deck. 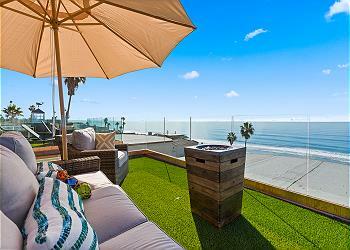 This beachfront duplex sits directly on the sand of the Pacific Ocean. 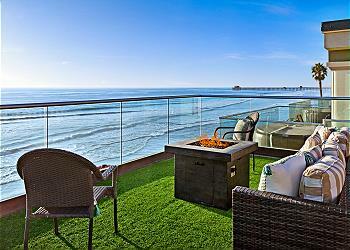 Walk out your back door and you are on a beachfront patio, with a spa, patio furniture, and a BBQ. The ocean is mere inches away. 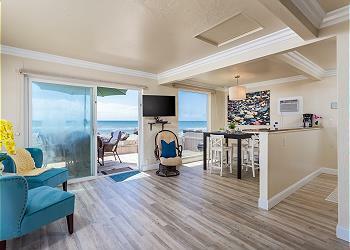 Charming beach rental studio with a fully furnished kitchen, BBQ, shared outdoor patio and deck, and a shared semi-private beach.